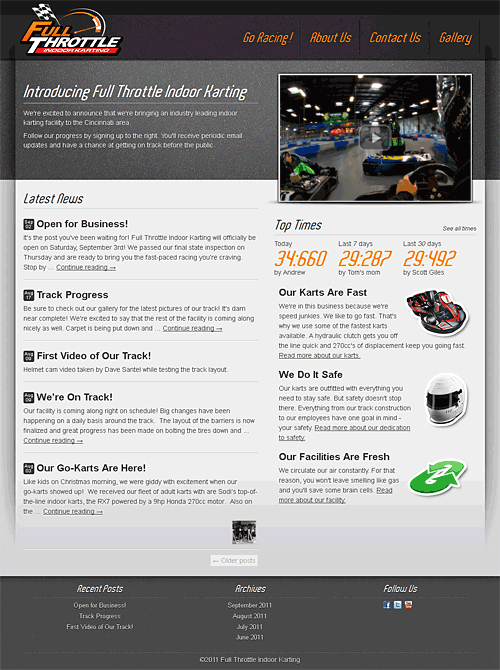 Website design and implementation for the Full Throttle Indoor Karting, Cincinnati’s premier indoor karting facility. 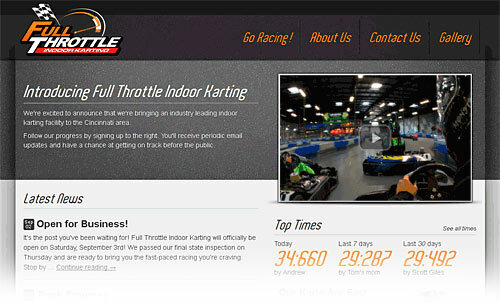 Full Throttle aimed to fill a void in the Cincinnati area by opening an industry leading indoor karting facility. Integrated with ClubSpeed Racing backend system. Integrated with MailChimp email marketing system. 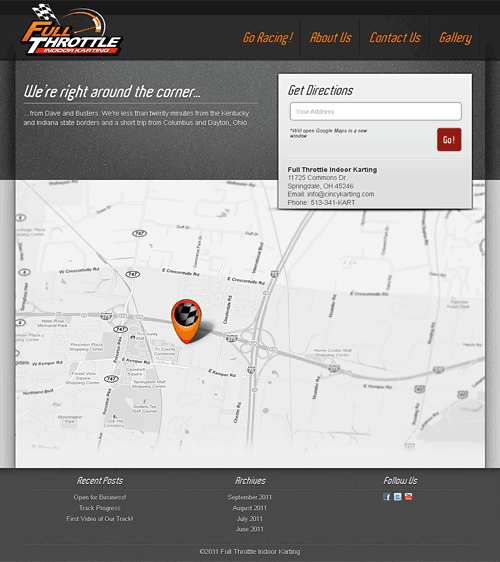 Visit Site They have since changed the look of the site.